At Metropolitan Home Improvements we pride ourselves on customer satisfaction. Our company policy is to make sure that each conversion we build leads to a recommendation from the client to build another for a friend or relative. Please see below some of the letters and comments we have received from our clients. If you would like to see further recommendations and examples of our work, please feel free to contact us. Excellent, professional advice given with no "sales" pressure. Excellent supervision throughout and thank you to the whole team. When you invest in a Loft Conversion you want to enjoy the experience of the build and then enjoy the finished project even more. MHI delivered from start to finish. Quick and delivered a great finish & even drew compliments from other trades we had working on another project. Far better and more professional than the other three loft conversion companies that came to quote. As expected we are very happy with our new Loft Conversion and pleased we chose Metropolitan Home Improvements. There have been no problems as everything was explained and managed to a very high standard. Couldn't ask for better: they treated our house with respect and got on with the job. This was a large project and we were a little apprehensive, but almost immediately work began our minds were put at rest by the professional approach of the company and their tradesmen. Will be happy to recommend them anytime. Friendly, efficient and considerate. Caused minimum of disruption & finished bang on time. We are really pleased with the final loft. The work is of a fantastic standard & quality, it was finished totally on time & we have been really well looked after along the way by the team - we can't thank you all enough. Ross was very good at answering all of our initial queries and came back on numerous occasions with responses and further detail on our queries. We would like to thank you and your team for your efforts on this project and we are very pleased with the quality of the new rooms that we now have. Always had time to answer questions and give advice which was really valuable - thank you! Extremely pleased with the result - it looks fantastic and we are very willing to show people our conversion! Friendly and professional. We liked the idea of dealing with a family run business. Our new bedroom & en-suite are amazing. It was a pleasure dealing with "The Team" especially Peter the carpenter. We would have no hesitation in recommending yourselves. We would be happy for our loft conversion to be viewed. Excellent! Every question was always answered really quickly & any problem solved straight away. The whole project ran very smoothly & each phase rolled smoothly & seamlessly into the next. It was great to have a point of contact who you knew would address any questions/issues straight away. We would like to thank you for the fantastic loft conversion that you and your team planned and installed for us this year. We would particularly like to thank Mark and Mick for their hard work patience and commitment. Whenever we had a query or problem Mark would always sort it out immediately and with no fuss. Both Mark and Mick were a pleasure to have working here. We would definitely recommend Metropolitan Home Improvements. Very good, honest & caring. Took time to listen to our concerns and answer endless questions. No hard sell which we appreciated. We highly recommend Metropolitan Home Improvements. We are delighted with our new bedroom and shower-room and would like to say a big "thank you" to all those concerned. We would like to take this opportunity to thank you and your team for carrying out such an excellent job from planning to completion. We were pleasantly surprised at the speed and smoothness of the conversion. The team was exceedingly professional and the workmanship was of the highest quality. The builders, plumbers, electricians and plasterers are amazing professionals (nice people too) and they are the best we have ever met. It was a very pleasant experience! We were apprehensive before the work began, but was quickly put at ease by the professionalism of all your staff. 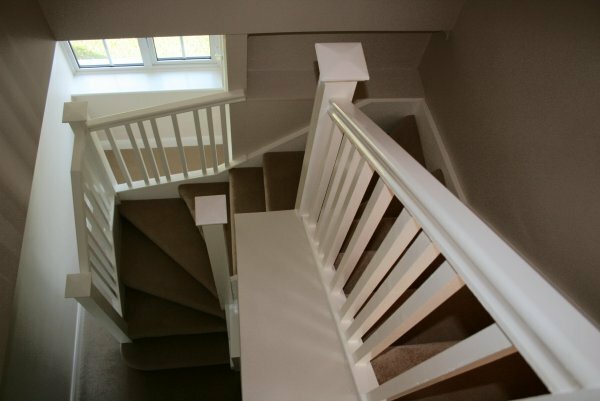 The job was completed quickly and efficiently with minimal disruption. We are so pleased with our new bedrooms. Our friends are very impressed and we would not hesitate to recommend you. Polite, tidy, courteous, tolerant of the kids! We are very pleased with the work - much admired by others. Happy to show others both rooms. We are thrilled with our loft extension and the boys are really enjoying their new room and shower-room. We are very grateful that the project started before schedule. Thank you. Hard working, excellent workmanship, nice people, friendly and tidy! Disruption to our lives by the work was kept to a minimum. We were impressed and grateful that such a large scale building project was conducted and achieved in such a 'painless' way. The whole team inspired confidence that the work would be done to a high standard. The result is fantastic. Colleagues at work are sick of hearing how pleased we are with it. We are delighted with our loft conversion and will have no reservations whatsoever in recommending your company to anyone, including family and our closest friends. We appreciated the fact that you phoned or called regularly to keep us informed of what would be happening next and liked the clear, informative and straightforward nature of the paperwork you presented to us. 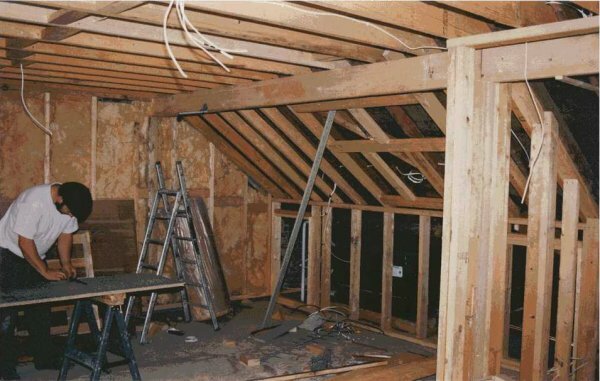 Our home and the quality of our lives are much enhanced by the loft conversion and it is particularly pleasing to be able to say that we positively enjoyed having the work done, because we remember the laughter we shared with each member of your fine team on the way to a most successful outcome.